from our house to yours...: Happy Hump Day: This Takes the Cake! Happy Hump Day: This Takes the Cake! It is such a great compliment to us when people like our paper creations so much they decide to have a confectionery creation made to match! Scroll down for a sweet trip to the candy shop and see what we have cooked up for today's Happy Hump Day post. 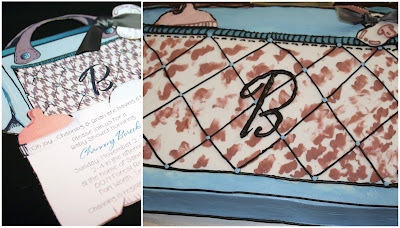 "Patty Cake, Patty Cake bakers man, bake me a cake as fast as you can..."
These shower invitations for new bouncing babies were turned into sweet treats, perfectly transforming the paper diaper bag and bassinet into sugary replications of our invites. Ah, Sugar Sugar...These kiddos celebrated their birthday in style! 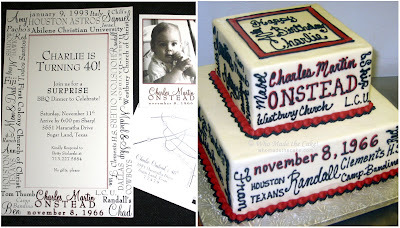 Check out how their party invites were converted into saccharine goodies. 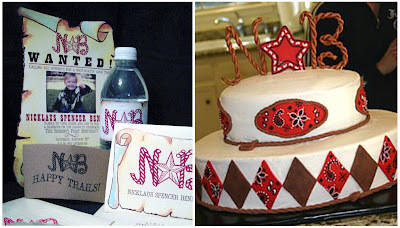 This little cowboy celebrated western style with a cake reflecting his invitation right down to the rope initials and star emblem also used on the water bottles, napkins, and thank you notes! But would you expect anything less from this party-planning mama...the mastermind behind "P is for Party?!?" I'm sure this provided tasty tidbits for the tots attending this barbeque bash! Creepy crawlies suddenly aren't so scary anymore! 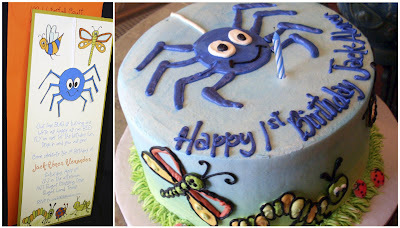 I bet Little Miss Muffet would gladly throw down the "curds and whey" and stick around to snack with this sugary spider! "Sugar and spice and everything nice, that's what little girls are made of!" 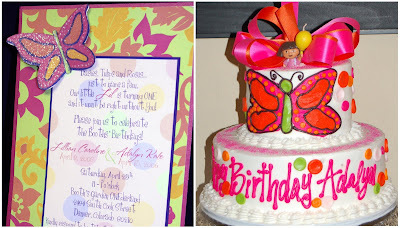 These little sweeties had a butterfly garden party that was the "Icing on the Cake"...literally. 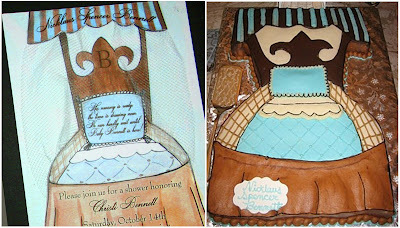 These next two cakes were both created by Nadine Moon of http://www.whomadethecake.com/ , whose delicious confections we can personally vouch for as she made HH's wedding cake! "If I knew you were coming I'd have baked a cake"...This 40th birthday party may have been a surprise for the honoree, but the party planners made sure cake was on the menu. 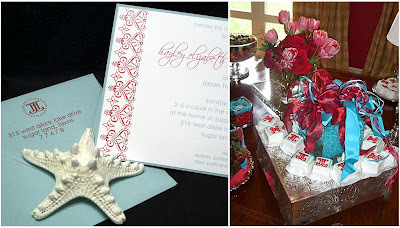 The invitation and cake displayed a few of his favorite things. If your sweet tooth hasn't been sending you an SOS just keep reading! 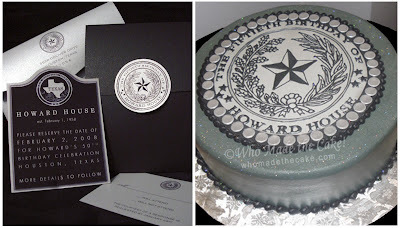 This Texas themed party produced by Swift +Co also had a cake by Nadine Moon, which mirrored our invitation. It's a Piece of Cake... The petit fours at this wedding shower in Sugar Land, TX gave a new meaning to "Everything's sweeter in Sugar Land"! These dainty little delights were not only scrumptious, but also matched the logo from the invitation perfectly! 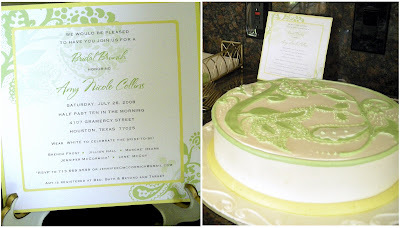 "How Sweet it is..." This elegantly decorated cake was a delectable version of the lovely bridal brunch invitation. Doesn't it just look like a recipe for love! We don't even have to sugar coat it...any way you slice it, with delightful invitations and sugary sweet replicas, you can have your cake and eat it too! Love the western theme-too cute! AAAAA-dorable! Kiss kiss to HH Design House! Happy Hump Day: "Vacation All I Ever Wanted"
Happy Hump Day:Sharing the Love! L O V E: Happy Anniversary Hardcastle's! Happy Hump Day: Here's the Scoop!